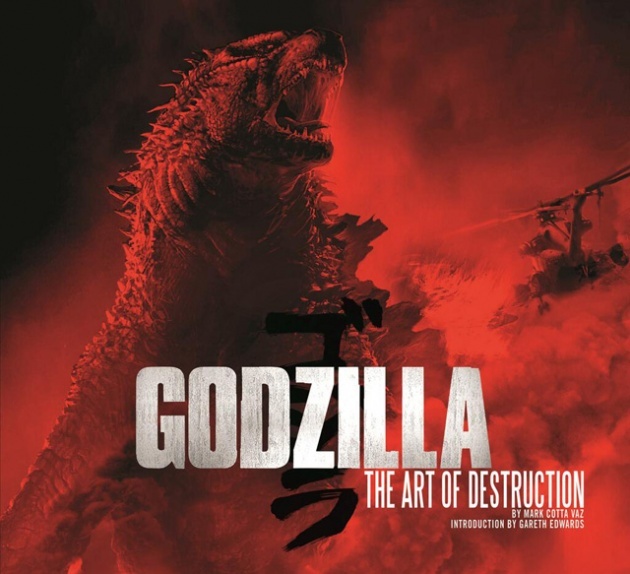 A new image has come online promoting both a book called Godzilla: The Art of Destruction and the film Godzilla. This image is the actual cover of the book which contains sketches, storyboards, pre-production material, concept art and much more information, from interviews with the director, cast and crew and the story of how the film was made. The book Godzilla: The Art of Destruction will hit shelves on May the 13th. In the film stars Aaron Taylor Johnson, Bryan Cranston, Elizabeth Olsen, Juliette Binoche and Ken Watanabe, Godzilla, will smash U.S. theaters on May the 16th.